Get road-ready quality with a quartet of Celestion Vintage 30 speakers. 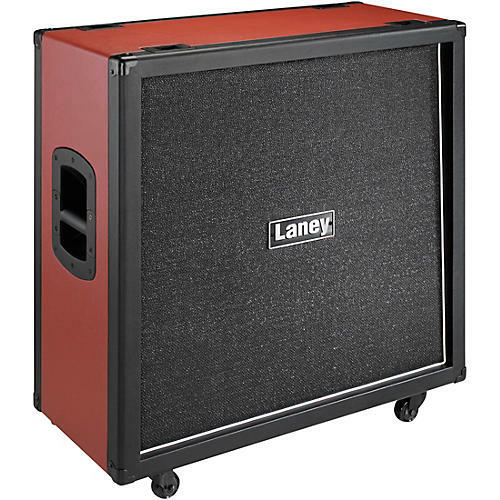 The Laney GS412VR 4x12" cab is loaded with a quartet of legendary Vintage 30 speakers, together rated at 240W. It operates at 4 or 16 ohm mono, or 2x8 ohm stereo. The angled baffle provides added projection. And the castors, cups and side-mounted handles make for easy transportation between gigs or practice.